I lay on the floor covered with a sheet of grey felt. 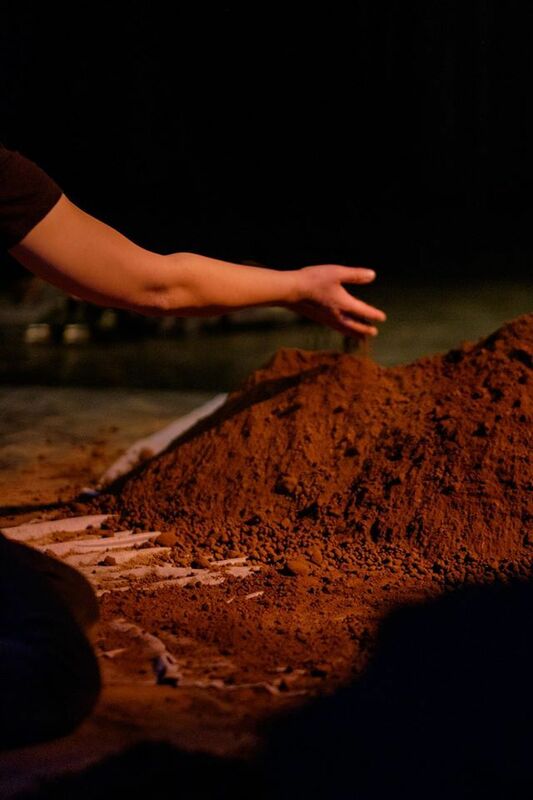 The audience was invited to participate in my burial by taking handfuls of soil and placing them on my body. 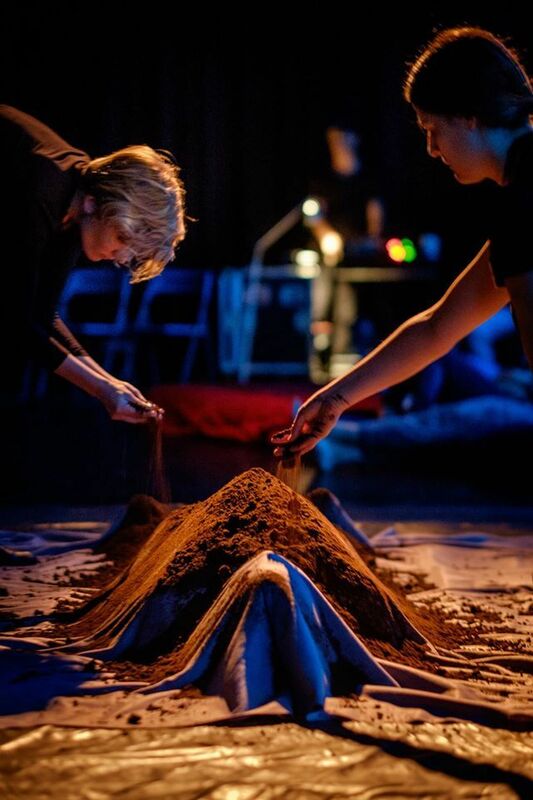 I was assisted in this performance by Cathrine Isaacs, Katya Petetskaya and Simon Cox. 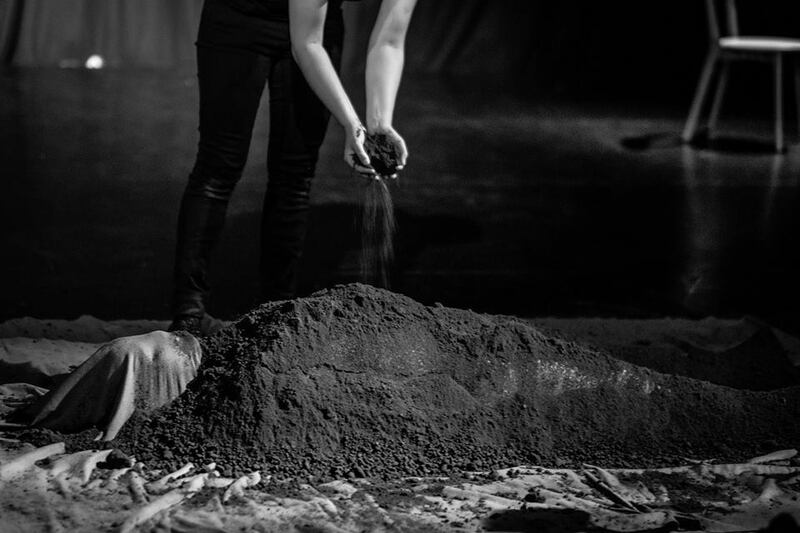 This performance took place as part of the Mortality Performance Night (Critical Path, 19 November 2016) for the Sydney Festival of Death and Dying (Curated by Victoria Spence and Peter Banki; Lighting Design by Paul Osbourne; Photography by David Brazil).